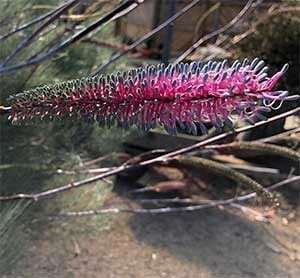 A truely unique species from Western Australia, Grevillea magnifica has flowers that are an unusual pink iredescent purple before opening to a pink and white. The main flowering period is from late winter to spring and the flowers appear as terminal buds, making them conspicuous. Excellent for attracting nectar seeking birds tooth garden. Being from Western Australia good drainage is essential for this species. It is also best grown in an open position where it gets good air flow. 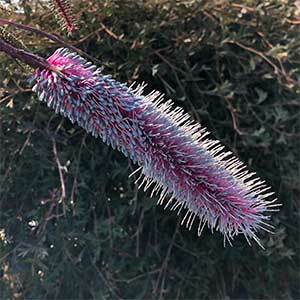 Flowers – Purple to pink, cylindrical in form. Foliage – Pale to Mid green and deeply divided.